Chasing grace & working wood. 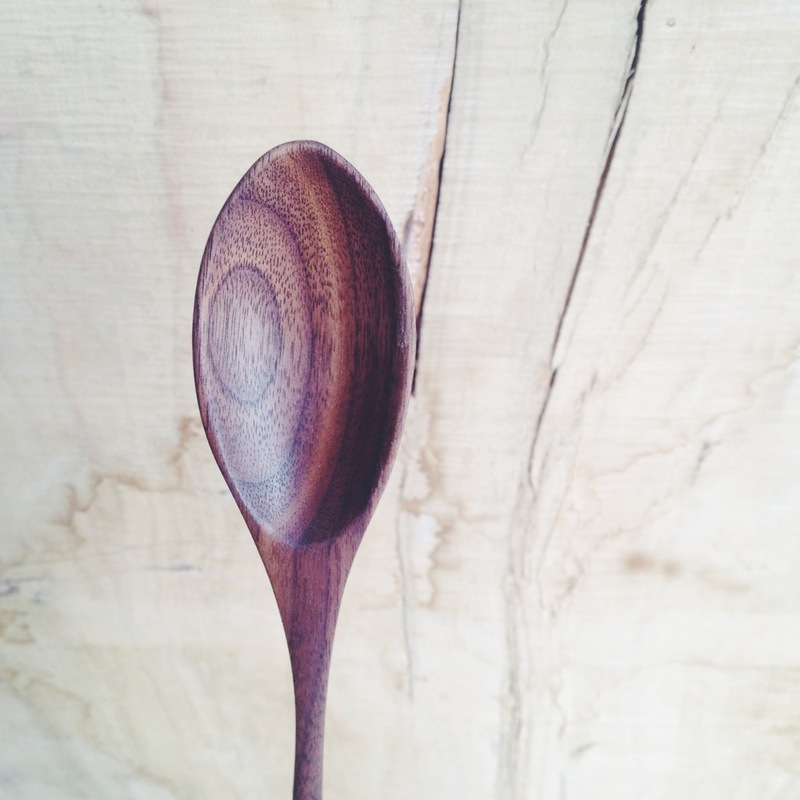 A new hand carved spoon. I made a knife with my friend #stephenzenga. He's a metal working whizz. Call this the Kaslo Camper. We moved our family to the Kootenays, a mountainous wonderland in Eastern BC . This is our back yard. Birch Bed. 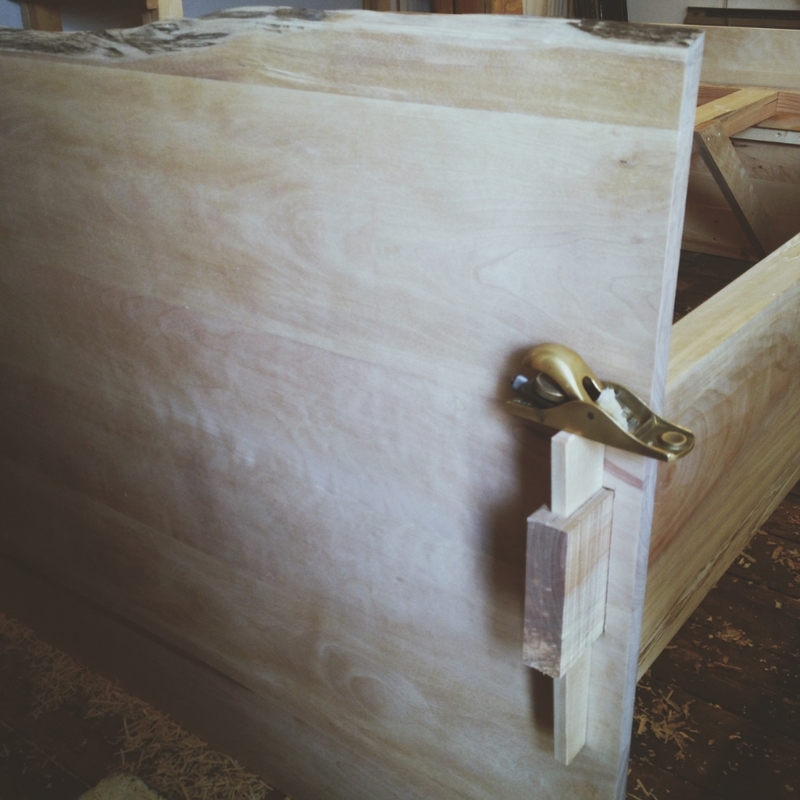 Wedged mortis and tenon joinery for easy assembly/disassembly. Some of my best friends make beautiful things. Aaron and Brittany are a husband and wife metal furniture makers and fabricators. I love their work, especially these pendant and desk lamps. Welcome them to the modern era by following them - @aaron_fabrikaat. 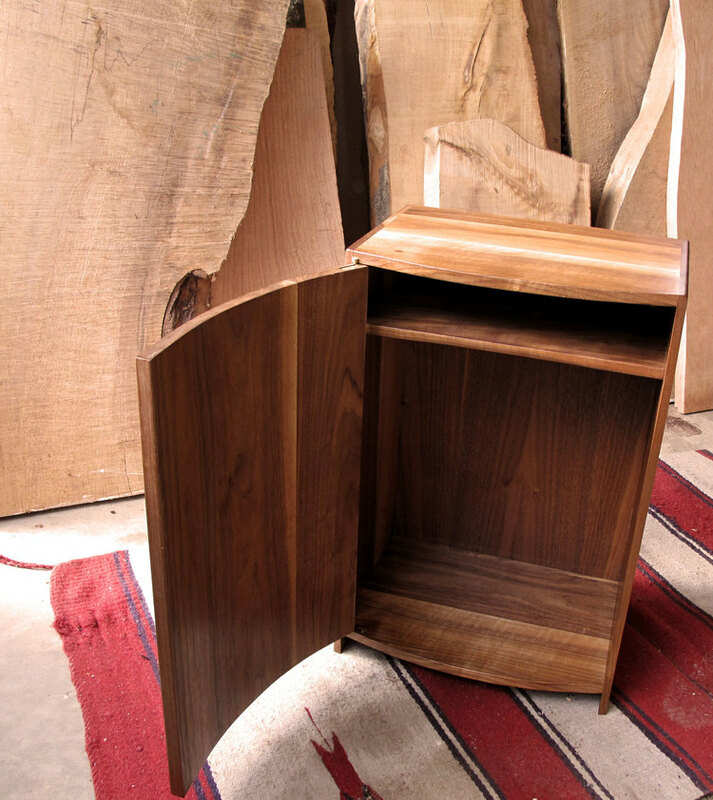 A space to engage in and come in contact with the woodworking of Jeremy Eisenhauer. 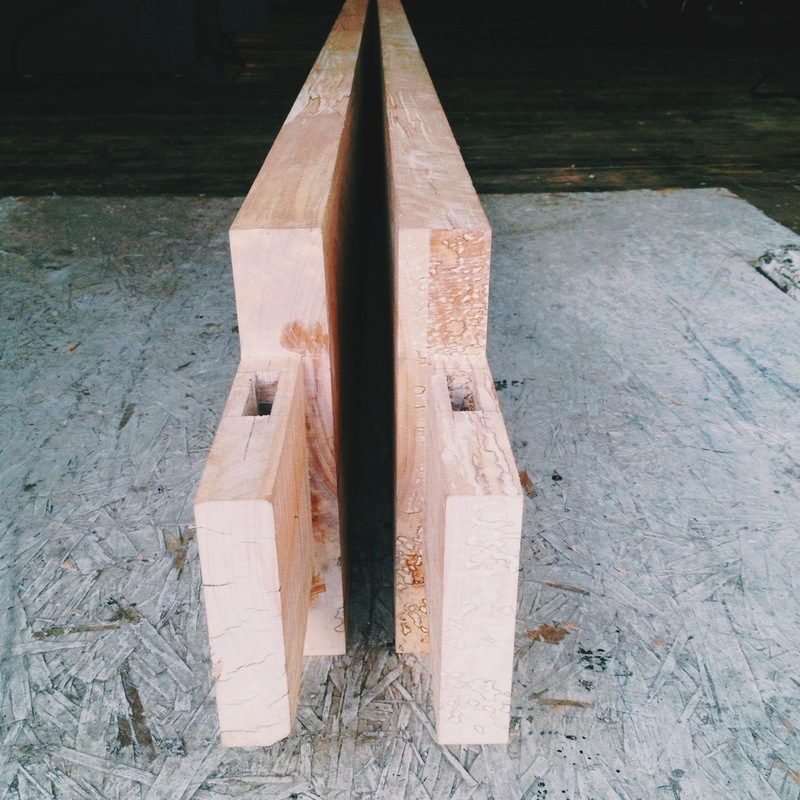 A california king size bed, with huge exposed hand cut wedged mortise and tenon joinery. This local Western Birch shines out with all kinds of beauty with it's figure and rich and subtle tones. An understated wild edge headboard mixes well with clean joinery. 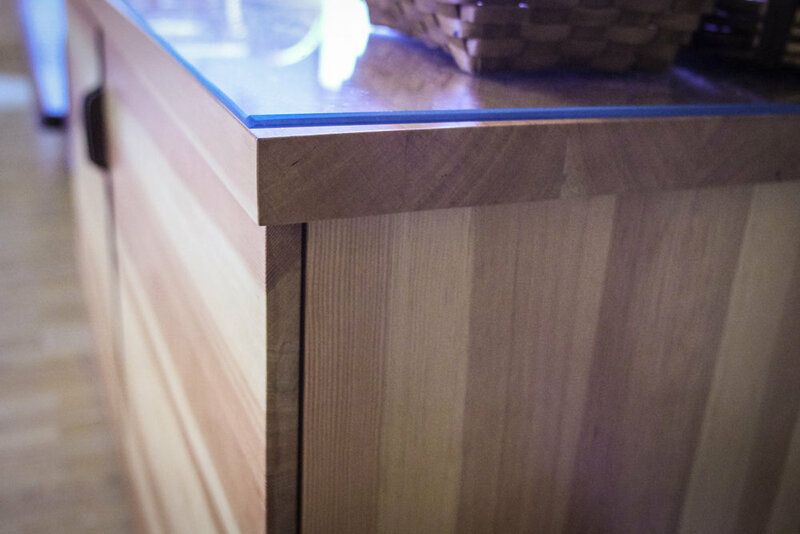 Simple Douglas Fir overlay cabinets to house Liturgical things. Handcarved walnut door pulls. Coopered door with matching curved top and bottom. Since January myself and some good friends have been building a new craft brewery in #Kaslo. This is a feature table for the taproom we built last week. More to come. Check out @angryhenbrewing opening soon! Terrifying carving in custom door pulls to this beautiful pine slab. I was inspired towards the cone shape. I leave deep facets from the gauge to remind the person opening the door that it was made by another human being. 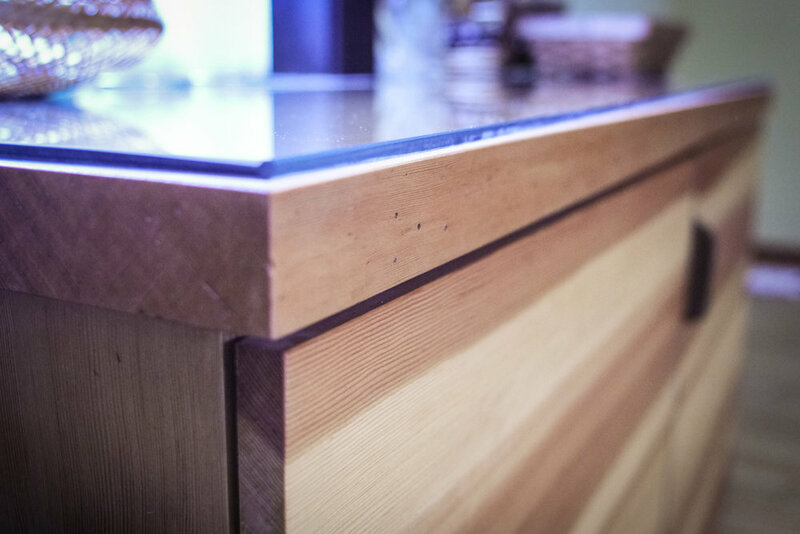 Mortising in this hidden breadboard tenon. My hunch is that these slabs are gonna want to move around lots so I made the mortising extra wide on the tenon. I'm figuring this out as I go with the help of @o1crane. Thoughts woodworkers? Tree in a tree as a door. Listening to @aidanknight on repeat in the shop this afternoon and feeling thankful to be alive on such a beautiful day. I'm making some sliding doors out of local Pine slabs. Pine is simple, subtle and smells like church incense. 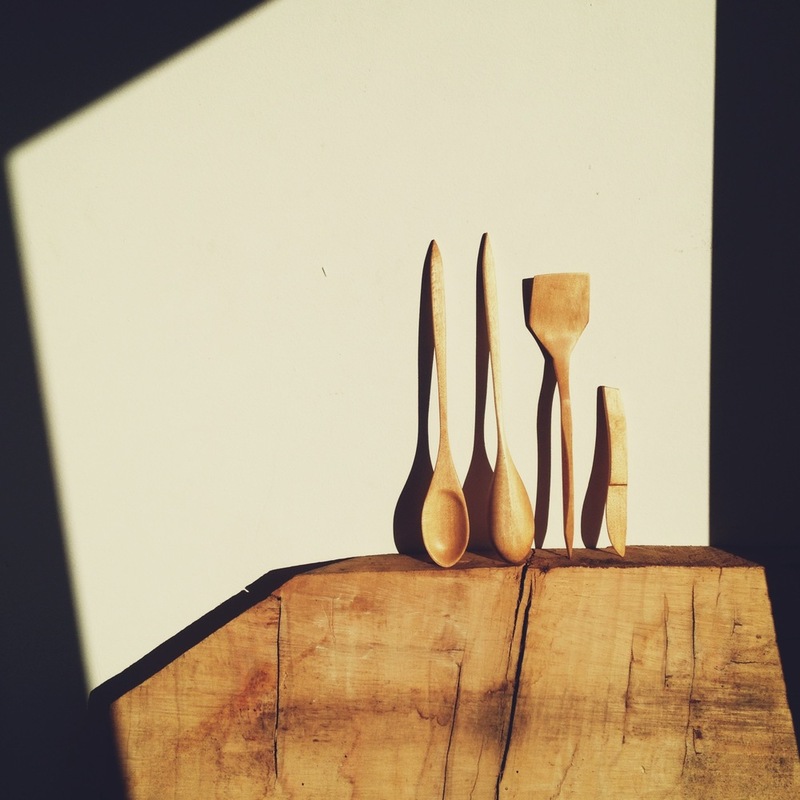 Simple work, simple wood, simple life. It's been so lovely to have my shop at home. It's frustratingly small, but being so close to my family, and spending so much time together is a dream come true. A few hours of lapping and some rudimentary squaring and flattening the soul. I think we're in business. A quick phone conversation with @o1crane and I'm knee deep into this old German hand plane restoration. Thanks for the tip on how to make things take more time, make less money, and enjoy my work a little more. Forgive me woodworkers! This is a post about music. My wife and I are heading to Nashville TN (big deal for us small town folks) to make a new record this April. This is shameless, I know. There's a link to our Kickstarter campaign in the bio. Please have a look, if you please! I made this jointer plane a few years ago. It's gotten more use this last week than it has since it was made. Wood planes are a wonderful thing. They're super accurate, sensitive, and I always make little adjustments to them so it's familiar to my hands. Feels like an old friend now. I'm trying to photograph more of my work for you all to see, before it gets shipped off to who knows where. When 'people in the know' tell me to do things like "staging" I think this is what they mean. To me it seems like I'm just covering something up. Marketing slogan idea: "our cabinets are so nice you can put cheap plants on them". My first time working with Claro Walnut. I think it's fairly hard to find. And I know it's expensive! So good grain graphics are a must (as always I guess). This is the first go at a panel that will become the gable of a chest of drawers I am at the beginning of building. 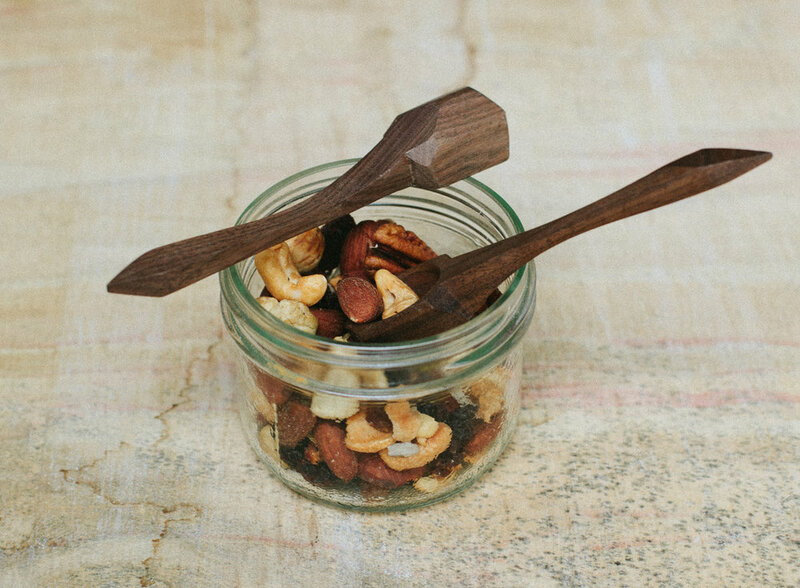 My son whittles in the corner while I mill Claro Walnut for days on end. Wishing you all a happy new year! Today marks the return of furniture making full time. Hopefully there will be a few more photos as I try to pick up where I left off last year. This time, the beginning is in a tiny little shop in the #Kootenays on a cold and snowy New Year's Day. Skin on and ready for maiden voyage! Lucky to be learning and building this 16' Adirondack style skin on frame canoe with Brian Chandler of Dreamcatcher Boats.